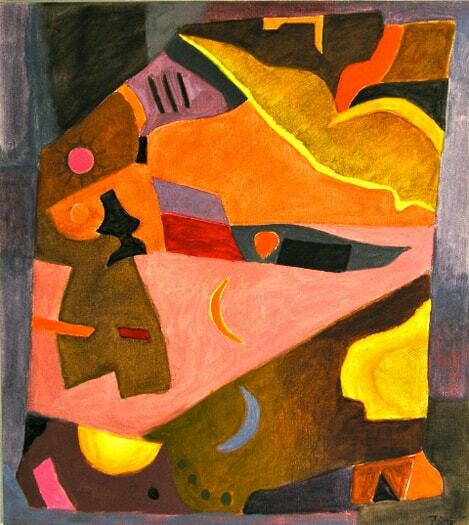 Art image: Joseph A. Fiore, Homage to Juan Gris, Oil on Canvas, 40 x 36 inches, 2002. This summer, the Fiore Art Center, located on 152 Punk Point Road in Jefferson, will open its gallery for visitors starting June 3rd; our summer hours are Saturday from noon to 4pm. Nellie Sweet, the resident gardener and an artist herself, will be on site to offer guided tours. In June, visitors to Fiore Art Center can enjoy a broad collection of works by Joseph A. Fiore (1925-2008), an avant-garde NY/ME artist and active environmentalist for whom the Center was named. Starting July 8th the Center will feature an exhibit titled Conversations, comprised of works by guest artists who visited the Center for studio visits and dinner during the 2016 residency sessions. Our festive Open Studio Days will again be held at the end of each residency: Saturday July 29, August 26 and September 30, from 11am-3pm. All are welcome to come meet the artists, tour the studios, and enjoy complimentary coffee, ice cream and music at the Center’s lakeside grounds.